One of the established content players in India, ZEE Entertainment, today inked a deal with telecom operator Reliance Jio to make all its content portfolio available on Jio’s applications. As part of this partnership, ZEE’s 37 Live TV channels will be available for JioTV users and ZEE5’s varied content including ZEE5 Originals, Movies, TV Shows, Music Videos, Lifestyle Shows, Kids Shows and Plays, will be available through the JioCinema application. This decision enhances the experience of more than 227 million subscribers of Jio, giving them access to ZEE’s rich and engaging content, which comprises 37 Live TV channels, said Reliance Jio in a press statement. Reliance Jio-ZEE Partnership: How Will It Benefit Customers? Well, this must be one of the biggest content partnerships Reliance Jio has ever made. 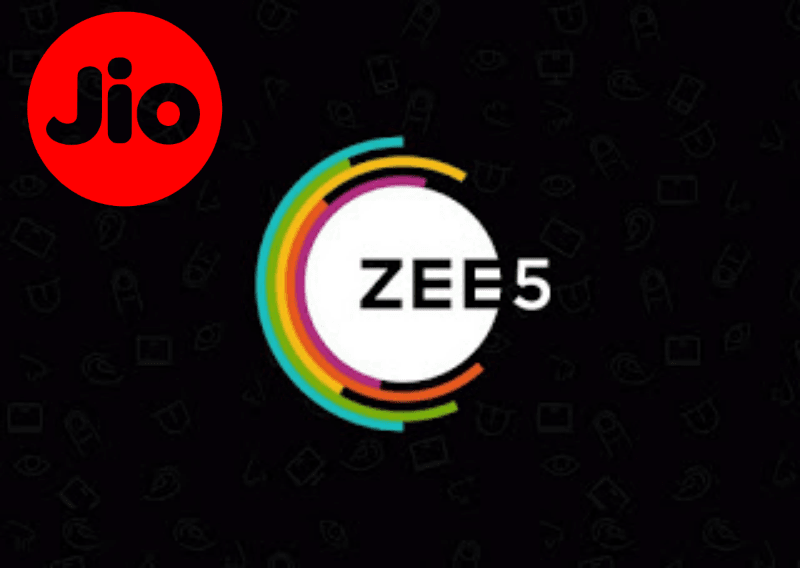 This partnership will give access to ZEE 5’s varied content to Jio users. For the unaware, ZEE 5 content is available only via subscription, but Jio customers can enjoy it for free. In order to further integrate this strategic content alliance, ZEE5 app, the home of extensive digital content library of ZEE, which includes the Video on Demand (VOD) network content along with the recently launched ZEE5 Originals, Movies, TV Shows, Music Videos, Lifestyle shows, Kids shows and Plays, will also be available for download through the JioCinema application. But for Live TV viewing, users have to rely on the JioTV application. “The alliance aims to leverage ZEE’s rich and hugely popular content portfolio and nationwide reach of Reliance Jio to serve customers with exciting and innovative content solutions,” further added Reliance Jio. As of this writing, the content is yet to get integrated into Jio’ services, but both the parties said the content would be available with immediate effect. ZEE5: What Content it Provides? In recent times, ZEE has been producing a lot of Originals to attract Indian audience and at the same time to compete with the likes of Netflix and Amazon Prime Video. And to reach a wider audience, ZEE has teamed up with Reliance Jio which has amassed 227 million users in 20 months since launching the services to the public. ZEE offers content in 12 Indian languages. This is the second major announcement to come from the house of ZEE. Earlier today, the company has made its ZEE5 content available to more than five lakh Xiaomi Mi TV users. Xiaomi Mi TVs runs on PatchWall interface which is a content-heavy platform aimed at Indian audience. Other players such as Eros Now, Sony LIV already offering content to Mi TV users in the country. I prefer paying Zee5 499 for a year and watching its original content over Chromecast on my TV uninterrupted rather than watching the same on Jio cinema’s overloaded servers where it will keep stopping every few minutes. Till Jio keeps offering the media apps free their quality will remain substandard due to heavy load on servers. Same reason i prefer streaming Alt Balaji content directly from its app rather than going through Jio cinema. I never faced the problem you mentioned above. At my place all other operators shows 2G , only Jio has 4G+ full bars in my building. Also try JioMediaWareX App from playstore. Now this is contradictory statements, if media servers are same why it will hamper watching on TV. if so then mobile TV should also have buffering issues. By the way how you watch JioTv on TV? Thanks for the information. I dont watch live TV, but what is stored on there servers, i.e previous episodes, even that plays fine for me. Regarding that app, it might not that useful because it will be played on mobile phone as well. It doesnt even require chromecast. My TV supports miracast. What is use of jiomediawarex app? Can you tell your experience..
It’s your bandwidth not the app. I have never faced any streaming issues on both mobile and the tv app.